Well actually it’s not officially here until June 20 if you want to get technical, but summer weather is certainly here in NC. There are days in the weekly forecast that are over 100°F and I’m very thankful for working air conditioning these days. I’m also getting ready to go on a tropical beach vacation so not only have I been eating healthy in preparation, I’ve been stocking up on all the beach and sun protection essentials. 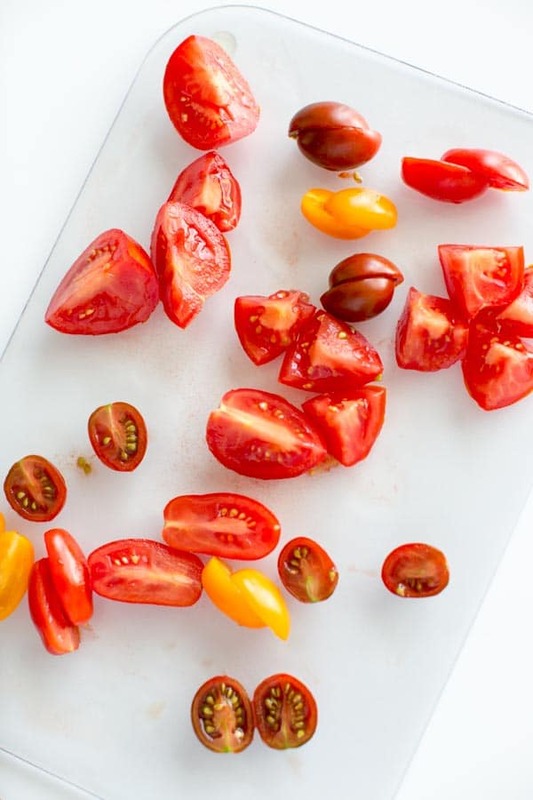 This tomato salad is actually helping me with both those things because, FUN FACT: tomatoes have something called lycopene, and some studies have shown that lycopene can help protect your skin against daily sun damage. But I’m pale and definitely still need sunscreen and all that jazz. 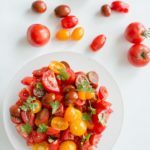 That might have something to do with why tomatoes are the featured superfood for May and June in the Sam’s Club online magazine, Healthy Living Made Simple. 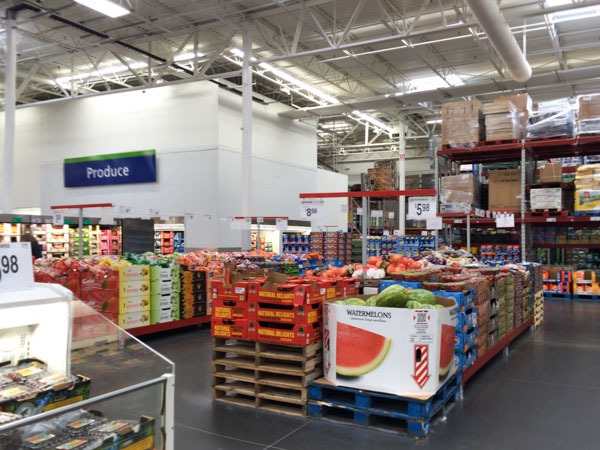 Not only can you get a variety of fresh tomatoes and other snacks from Sam’s Club, you can also pick up that suncreen and other beach necessities. Oh, and did you know you can also get a free health screening (at select stores) if you happen to stop-in on the second Saturday of each month? The June screening happens to be just two days from when I’m writing this, on June 11, 2016. So it’s pretty much a one-stop shop for your summer needs and whatever fun in the sun you’re planning on having. And if you make this salad, it’s a great thing to bring to the beach with you. Just remember to pack a fork, because I’ve been known to forget. Remember to check out Healthy Living Made Simple for more recipes (starting on page 30), and there are some great tips for sunscreen on page 16. Tell me your summer plans in the comments! 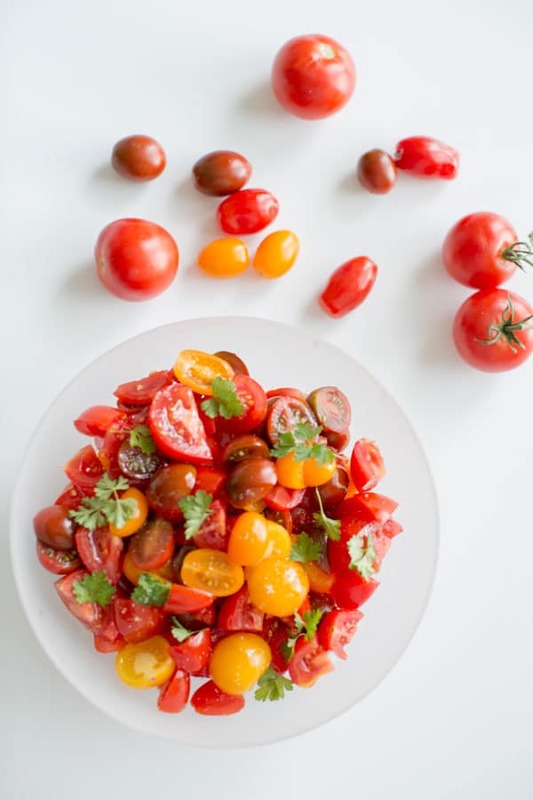 Simple Summer Tomato Salad. Healthy, light, delicious and portable so you can pack it to-go for all your summer adventures. 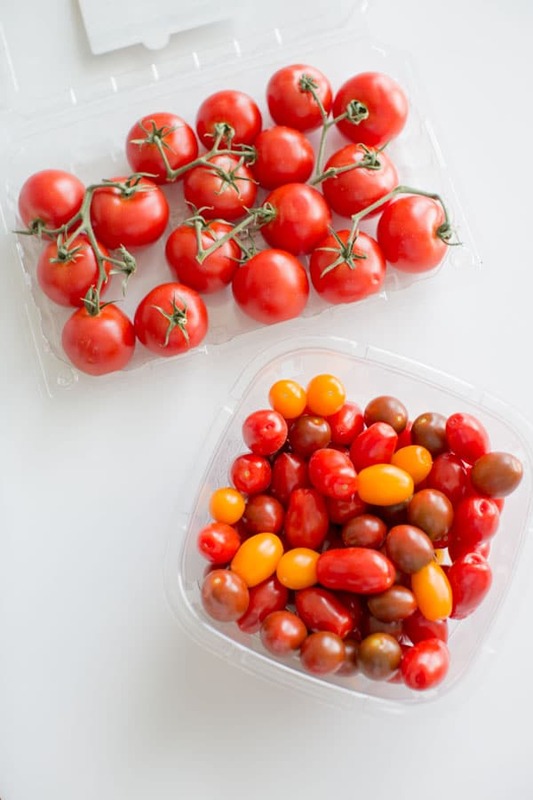 Add tomatoes to a bowl, drizzle with olive oil and stir to combine. Top with sea salt and fresh parsley. Pack to-go or serve immediately/ Will last covered in the fridge for a day or two. 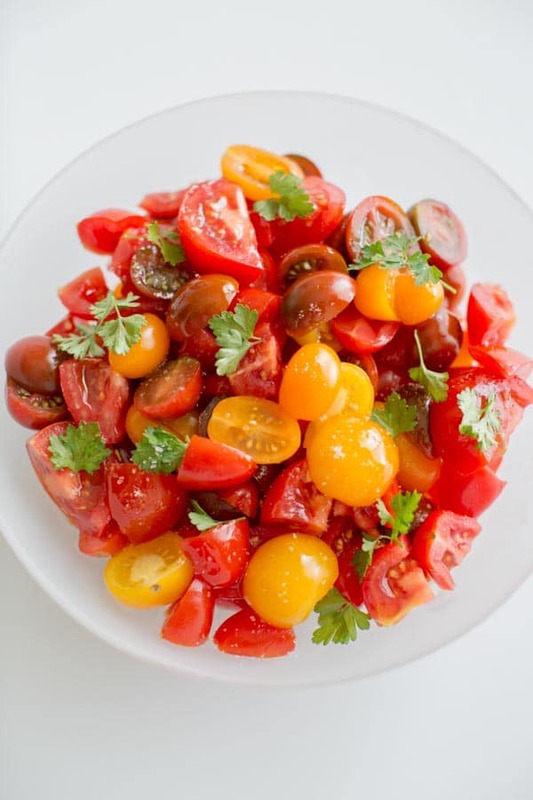 Your tomato salad looks amazing – the heirloom tomatoes are gorgeous. What a perfect summer salad, and so healthy too! Thanks so much April! I LOVE heirloom tomatoes. I’m jealous of your home-grown tomatoes! When tomatoes are in season there is nothing better than a tomato salad. Yours looks so pretty! Can’t beat a simple and fresh tomato salad. Love! Need to find tomatoes that look like that! This is perfect for a simple side.